Instead of £1,045.20. You save £52.26 due to the online discount . 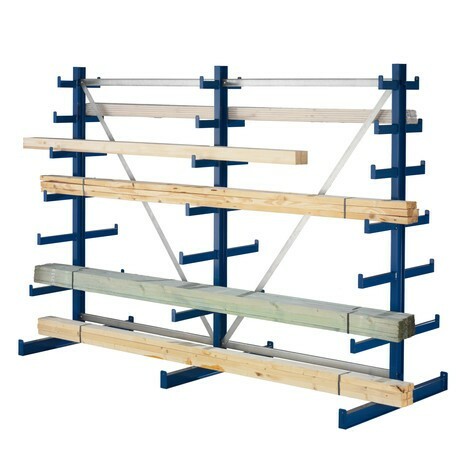 Cantilever racks are an indispensable aid in any warehouse when it comes to storing load carriers, cross members, shafts and similarly shaped heavy objects. The double-sided versions are particularly useful thanks to their impressive capacity. 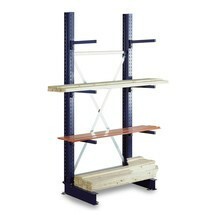 It is not always easy to accommodate long and heavy items in a warehouse. 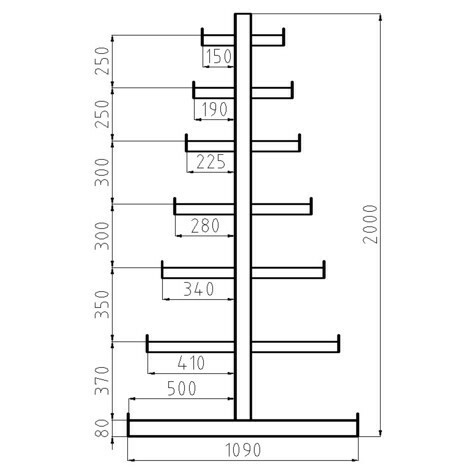 Although it may be possible to stack wooden beams or load carriers relatively easily in a recess, this is not the case for metal pipes or shafts. 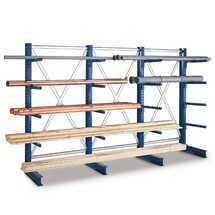 If you decide on a cantilever rack, future storage will be absolutely uncomplicated. 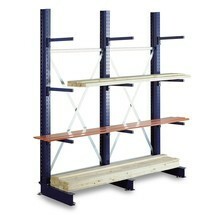 You can load the double-sided META cantilever rack with loads of up to 150 kg per load arm. 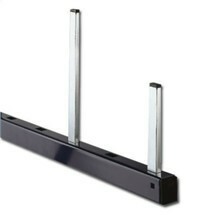 In addition, the arms of different lengths are equipped with integrated roll-off protection, so that you can easily store pipes or round bars with utmost safety. 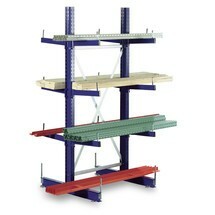 The cantilever rack is available in different base unit sizes. All versions can be retrofitted with the appropriate add-on units. 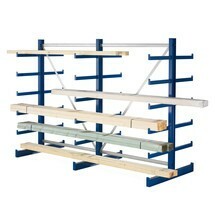 This provides you with a flexible storage system, which you can adapt to the local conditions at any time. 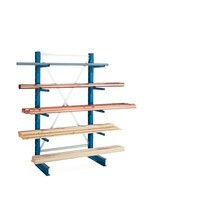 Discover for yourself this flexible opportunity for storing long goods and order the double-sided cantilever rack from us here.